Ah, Thanksgiving, that time of year wedged between Halloween and Christmas when families gather, football is watched, food is devoured, and bloggers make lists of things they’re thankful for. Ever the trendsetters, we Gentlemen of Leisure are. Here is my list. 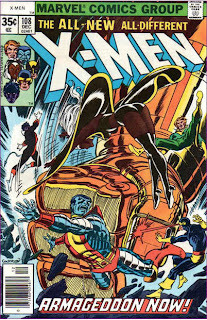 Marvel’s Essentials and DC’s Showcase Presents volumes: We live in a golden age of accessibility, when a plethora of comics from all ages are available in thick black and white tomes, crammed with countless comics goodness, all for under twenty books. There are more released in a month than I can possibly afford to buy, and that’s a good thing. It’s better than having all the money in the world and nothing to spend it on. And that’s not even mentioning things like the Complete Peanuts collections and DVDs of favorite old TV shows. 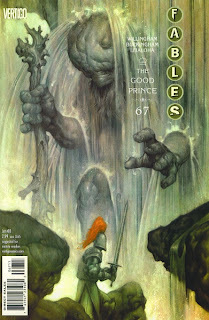 Fables: Consistently excellent, month in, month out. Probably my favorite of all the books I read. If you’re not reading it, you should be. The Comics Blog-o-verse: It is often more negative and snarky than I care for, but it can also be a daily celebration of everything that is awesome about comics, and about being a geek. 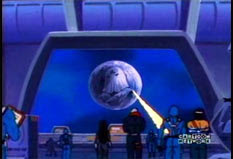 That episode of GI Joe where Cobra Commander uses a giant laser to carve an image of his face into the moon. The first ten minutes of last week’s Simpson’s episode: For ten minutes, I was watching the best Simpsons episode in ages (the last twenty minutes: meh). It was pandering to my bias and I’m sure it wasn’t nearly as funny for non-comic book geeks, but for those of us who are, man, it was hilarious. Rogue Unicorns: Sure, they’re fearful in and of themselves, but they help control the rogue dragon population by eating their eggs, so I’m thankful for that. Finally, I am thankful for the lovely Mrs. Teebore, of course, and all my family and friends who are, for the most part, hale and healthy and reasonably happy, and a job that keeps a roof over my head, puts food on the table and comics on the floor by my nightstand. Way to get sappy at the end. And you forgot to be thankful for the original Transformers Movie and Highlander...ah Highlander...guys with swords chopping eachother's heads off. Does it get any better?